Ocean front views in this condo on the beach in Kahana. Lanai's are located off of the ocean front living room and master bedroom. Listen to your CD's from home on the player provided. 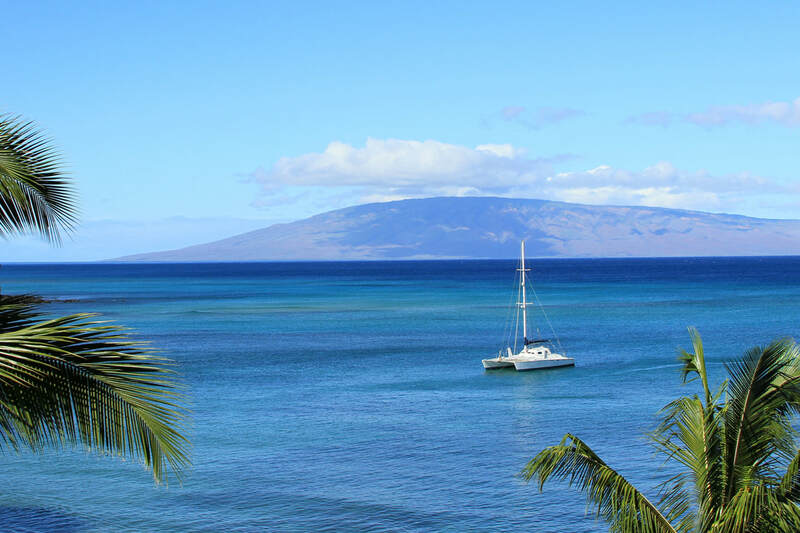 Let the answering machine take your calls while you are out enjoying Maui. 11th Floor Ocean Views from this remodeled 2 bedroom, 2 bath Maui vacation rental. Perfect for a family of 4 or 2 couples to share the private bedrooms with ensuite bathrooms. Master suite features a king size bed, amazing ocean views and lanai access. The guest bedroom features a queen bed and wall mounted TV. Our remodeled kitchen has everything you need to make a home cooked meal and dine on the modern raised seating dining room set. Our living room boasts ocean views, a 50" flat screen TV and DVD player. Enjoy your morning coffee or your afternoon cocktail on our spacious lanai. Enjoy free Wi-Fi from our condo with free local calls. Remodeled ocean views in this condo on the beach in Kahana. 4 guests maximum please. Enjoy ocean front views on the lanai off of the living room and master bedroom. Watch your DVD's from home on the 46 inch flat screen TV with a Sony play station in the living room. An answering machine can take your calls while you are out enjoying the island. Wake up to the sound of the oceans waves or to a the alarm clock provided. Bring your laptop and enjoy free DSL or wireless internet access. Guest bathroom has a tiled walk-in shower, no tub. No oven in Kitchen.